Click into the invoice details page (through the calendar or your customer's job history). Scroll down the page to the Payment History section. Click the clock icon to the left of the payment date (see below). A pop up will appear where you are able to change the transaction date and time, simply by clicking on the date or time fields. Once you've finished adjusting, click 'Update'. How do I refund a credit card charge? 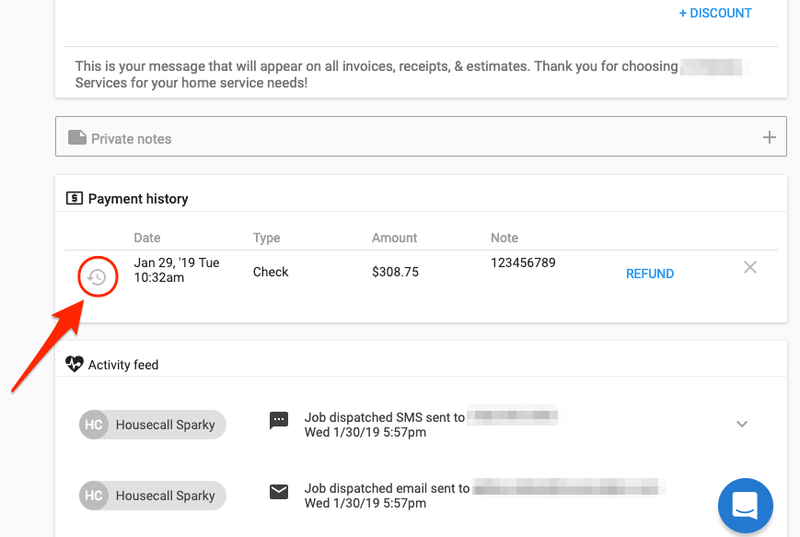 How do I view a customer's billing invoice history? Having trouble collecting from your customers? Check out these simple tips!